The budget was read amid protests by the BJP. New Delhi: Beer in Karnataka will cost more as the state government has doubled the excise duty on production unit of the beverages. The proposal was made during the state budget presented Chief Minister HD Kumaraswamy for fiscal 2019-2020. 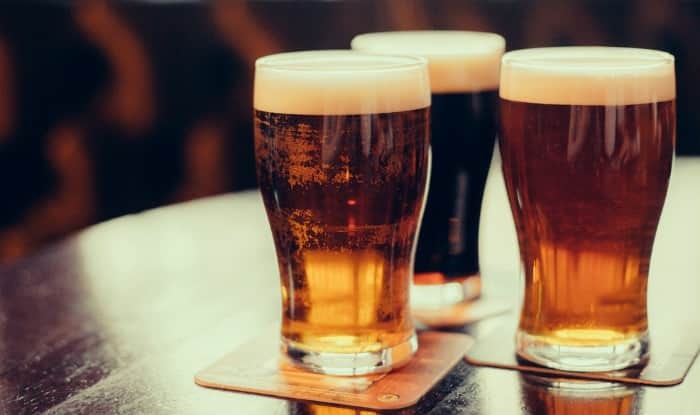 According to PTI, Chief Minister HD Kumaraswamy said that excise duty on beer manufactured in a micro-brewery would be doubled to Rs 10 per bulk litre (BL) from Rs 5 per BL and additional excise duty to Rs. 25 per BL from Rs. 12.50 per BL. “I propose 25 per cent increase in additional excise duty on beer to 175 per cent from 150 per cent and 35 per cent on draught beer to 150 per cent from 115 per cent,” added Kumaraswamy. He presented budget amid the walkout by the opposition. The BJP had staged a walkout claiming that the coalition government had lost the majority in the House. Notably, nine Congress MLAs had ignored the party whip and skipped the legislature meeting on Wednesday. These included the four – Ramesh Jarkiholi, Umesh G Jadhav, B Nagendra, Mahesh Kumathalli, who had skipped the January 18 Congress legislature party (CLP) meeting. MLA J N Ganesh, who is declared absconding after an alleged brawl with a colleague lawmaker at a resort recently, was among the absentees. There are speculations that MLAs are in touch with BJP as they have not responded to the second notice issued by Siddaramaiah asking them to appear before him and explain their absence from the CLP meeting. The crisis last month that saw the return of resort politics was triggered by a few Congress MLAs reportedly camping in Mumbai along with BJP leaders, amid reports that they might switch sides to the saffron camp.